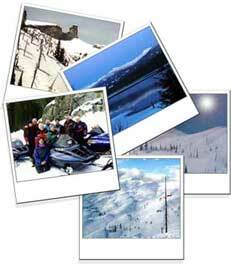 Snowmobile Priest Lake, Idaho is dedicated to providing information on snowmobiling at Priest Lake as well as promoting the best accommodations and cuisine in the area. be found in this pristine wilderness. Over 400 miles of groomed trails, endless play bowls and fantastic places to stay and dine. What are you waiting for? Come and snowmobile Priest Lake, Idaho! 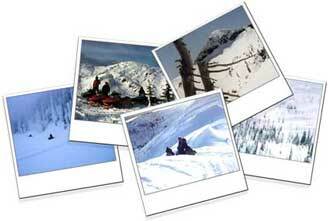 recommendations for its famous lodging , cuisine and , oh yea, snowmobiling! Looking for that special snowmobiling experience of a lifetime? Do you get weak in the knees at the thought of your 1000cc super charged machine pushing virgin powder across wide open playgrounds with spectacular mountain backdrops? Or do you thrill at the thought of awe inspiring panoramic views, the beauty of nature's snow castles, and the winter wonderland of deep forests with trees heavily laden with great heaping mounds of snow? If any of this stirs the cockles of your heart, and it's sometime between November and April, you probably need to be loading the sleds and heading for Priest Lake. 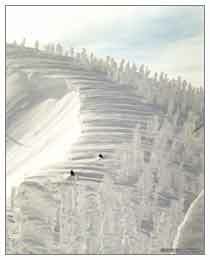 Continue snowmobiling article Priest Lake Snowmobiling Photos Click Here!